Cosmos ring is luxurious and captivating. 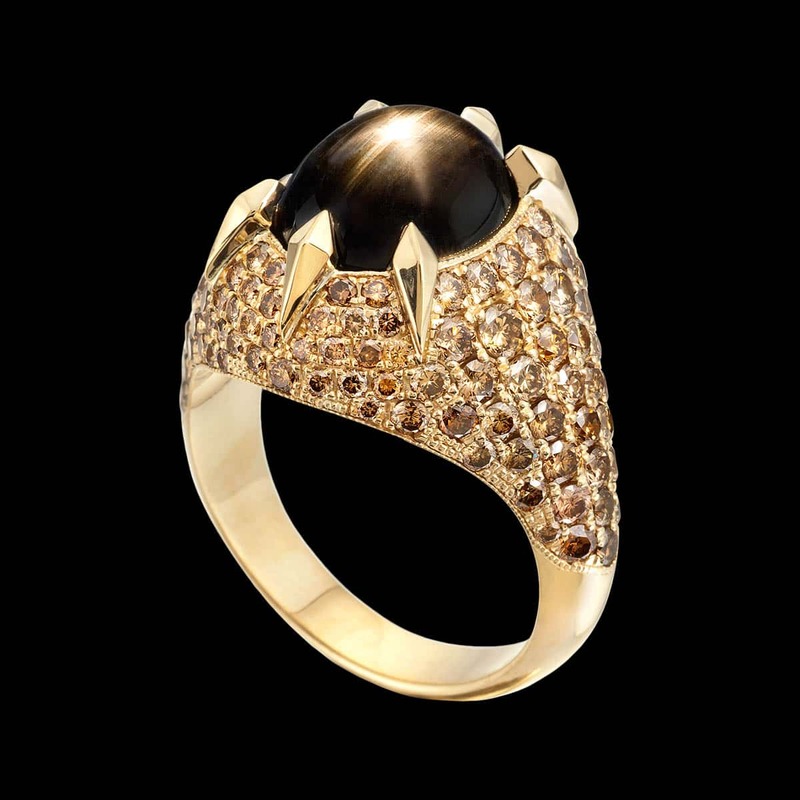 This unique ring in 14 karat yellow gold showcases a 12.40 carat black star sapphire with 3.50 carats of color gradient champagne diamonds. This one-of-a-kind piece is available. For purchase, call (949) 715-0953 or use our contact form below. Light spreading across the surface of a stone in the shape of a star, also known as asterism, occurs when crystal structures of many layers at very specific angles reflect light. Star sapphire is a well-known example of asterism but ruby, garnet, spinel and quartz may also show a star.